Ravenswood Studio fabricated and installed every element of this new gallery. For embedded media experiences, we fabricated several thematic constructions including a full-scale Blackhawk helicopter, a Bradley fighting vehicle and a HESCO barrier to give visitors an “only here” experience. 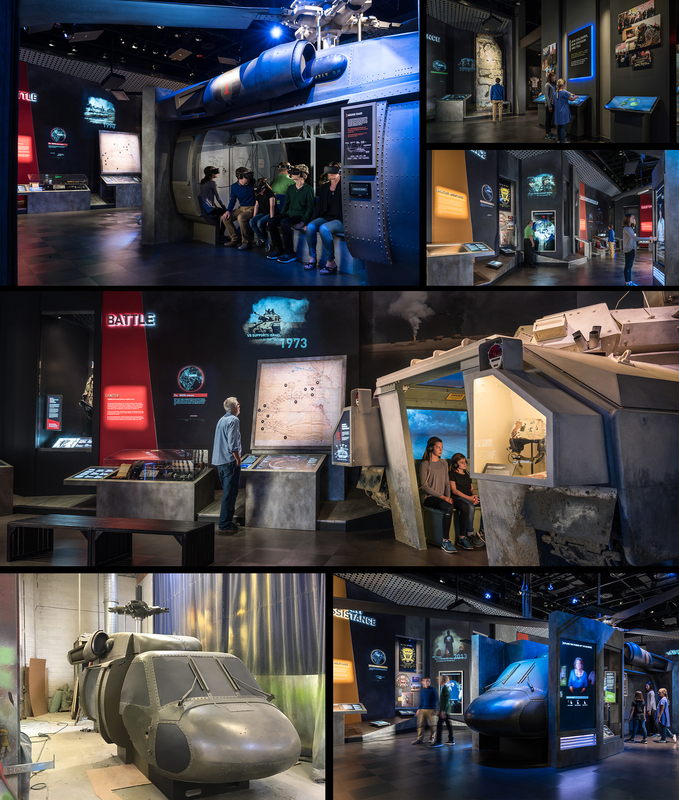 In addition, our graphics and special artifact cases helped create a total environment that lets visitors experience contemporary military history in a uniquely different way.